Alghero's Lungomare Dante is the city's peaceful open-air drawing room - an enchanting backdrop against which to savour the majesty of the sea and the imposing beauty of the surrounding coastline. The Lungomare Dante plays host to the Hotel El Balear, the only 3-star seafront hotel in the centre of Alghero. The hotel, which features 55 comfortable guest rooms has been run by the same owners for more than 40 years. The hotel is sure to win you over with its friendly welcome, delicious cuisine and excellent services. Its enviable location, around 400 metres from the centre of Alghero, is ideal for reaching the city's historically rich streets and alleys on foot, as well as the lively boutiques and shops in the heart of the old town. Moreover, the location of Hotel El Balear also gives you the possibility to simply walk across the street and bathe in the crystal-clear waters of the bay or dive into the sea from the cement platform on the nearby cliffs. 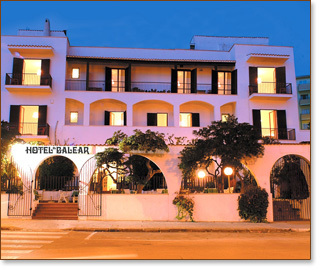 Book your stay at Hotel El Balear if you want to enjoy a wonderful holiday in Alghero that's full of sun, sea, sand, nature, sport, entertainment, history, archaeology, shopping and fascinating food and wine trails. The webcam is operational 24/7. 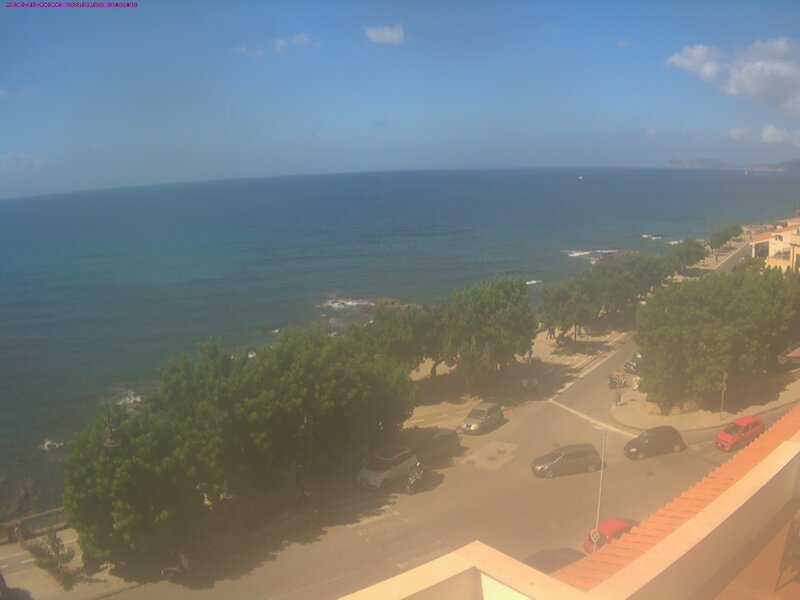 Click on the webcam image to enlarge.